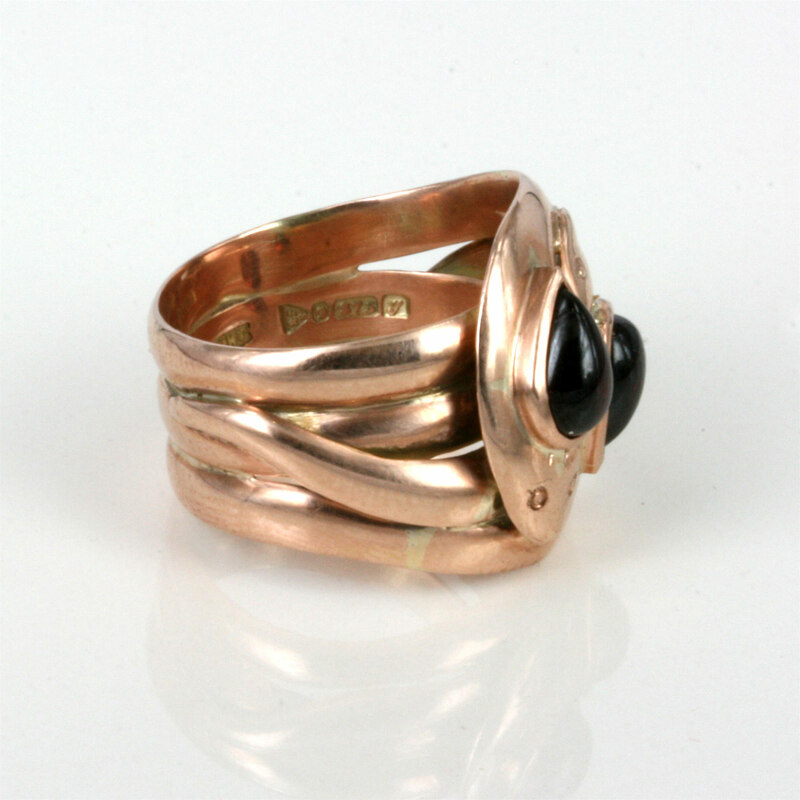 Product code: 1338 Categories: Sold Items, Sold Rings. Snake rings were a popular motif in the Victorian and Edwardian era, and this antique snake ring is by far the widest one that we have ever seen. 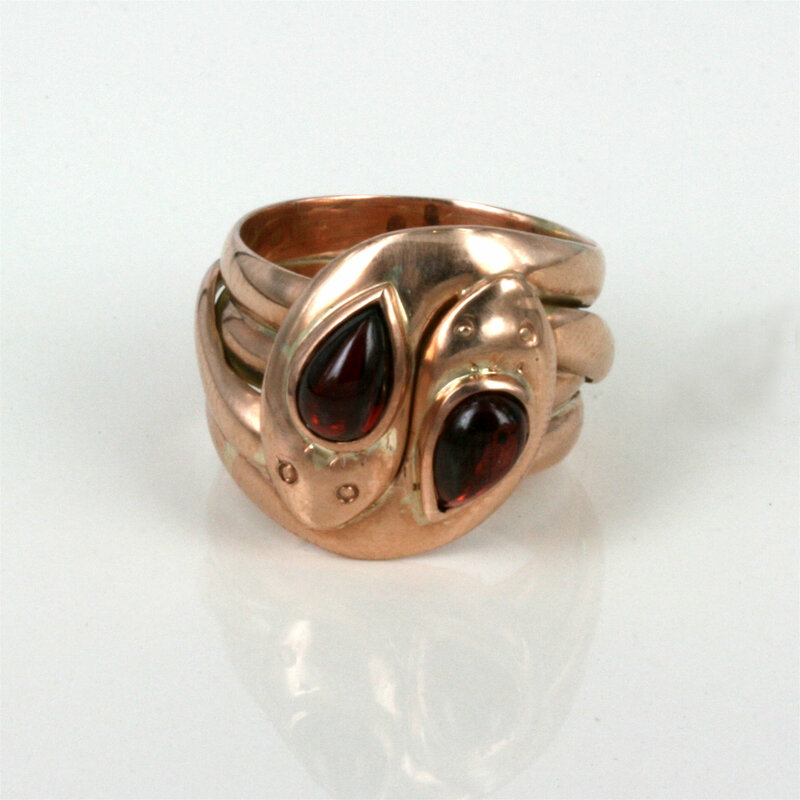 Made in Chester in 1909, this sensational double snake ring is made in 9ct rose gold which matches perfectly with the 2 cabachon cut garnets. The ring measures an incredible 20mm wide, and really makes a great impact on the finger. The advantage of a ring such as this, is that it sits very flat and close to the finger, making it very easy to wear an ring that is over 100 years old every single day. 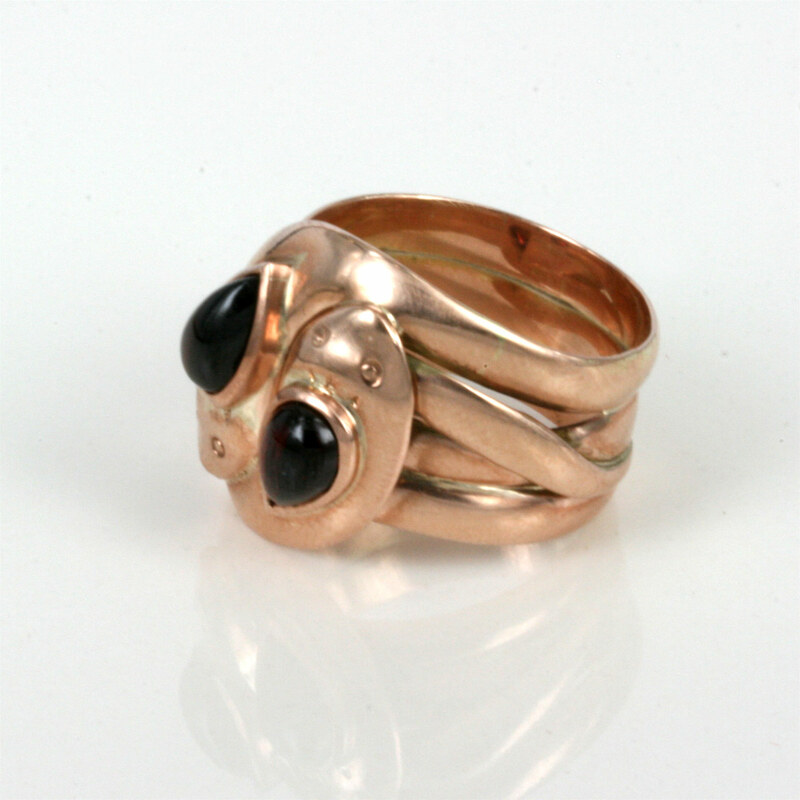 A antique snake ring that will always get attention.